I love 50-state surveys of laws for easy charts outlining basic similarities and differences in state laws. These are great resources for finding primary law citations in a quick glance. We have several sources in our library for finding these kinds of topical surveys. The National Survey of State Laws is a great source for this with a wide range of topics available. 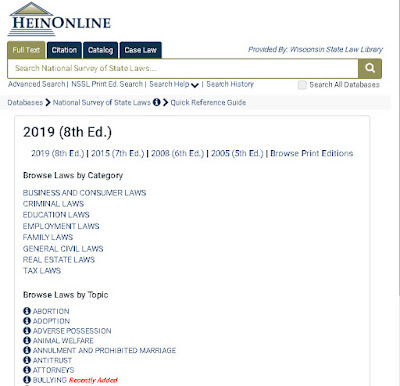 The 2019 edition was recently released in print and online, and library users can use this resource on HeinOnline right away. Prior editions back to 2005 are also available on HeinOnline. In law, updates are vital. Our libraries receive several updates each week for books in our collection. The frequency and style of update can depend on the publisher, as well as our subscription to a title. We just received and filed updates to all of our Wisconsin Civil Jury Instruction sets, so when you go to the shelf, or ask us for a copy of an instruction, you know they're up to date. To learn a little more about filing updates, see: What is on the book cart? Download this before it's gone...from April 3 to 19, the State Bar of Wisconsin is offering a free download of A Gift to Your Family: Planning Ahead for Future Health Needs, an end-of-life planning guide. As discussed in the latest issue of the State Bar's InsideTrack, most Wisconsin residents have not completed an advanced directive document about end-of-life decisions. 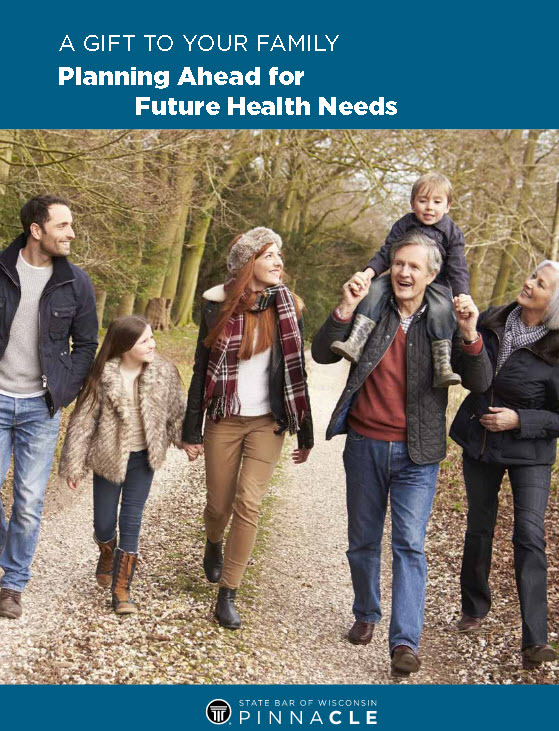 This planning guide discusses advanced directives, including the Power of Attorney for Health Care and living wills. It discusses the role and responsibilities of a health care agent, and provides resource lists and information on organ and tissue donation. If you've been wondering about planning for your future medical care, this guide can get you started. Today is National Bookmobile Day and while we don't have a bookmobile, we do have a library that travels! While we charge for shipping to an address via UPS, there is no fee for sending materials to our Milwaukee library through our regular channels. If you're in the Milwaukee area and you need a book from one of our Madison libraries, just ask us! We'll send it over with our scheduled shipment. This week is National Library Week, and we're talking a lot about how we help our users. One way we help our low-income users is to refer them to legal assistance organizations or clinics close to where they live. We direct people to our County Legal Resources page, which includes legal assistance organizations in each county. We're also very happy to be able to direct users to the State Bar of Wisconsin's initiative, Free Legal Answers - Wisconsin. 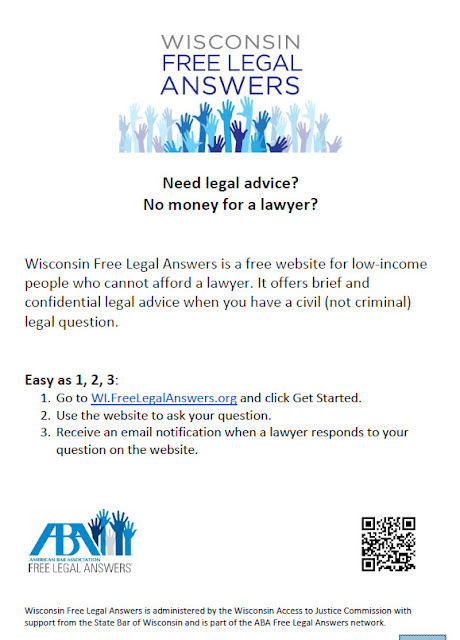 Wisconsin Free Legal Answers is a free website for low-income people who cannot afford a lawyer. You can ask free, brief legal questions about civil law issues and have them answered by a Wisconsin attorney. The website requires you to create an account, but once you do so then you can use the website to ask your question. One thing we pride ourselves on at our libraries is our ability and willingness to help. Sometimes our users are astonished at this, feeling like they shouldn't be taking up our time to ask a question. We can assure you, we're ready and happy to help! A book we recently added to our collection, Untangling fear in lawyering, had me thinking about the topic of fear and worry in the law profession. 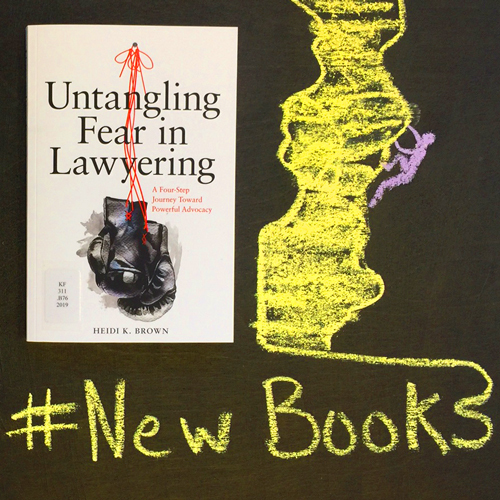 One way we can help attorneys handling an unfamiliar topic is to help with research. We identify books or articles that might discuss the issue or include sample form language. We also have access to specialized databases here in the library that can be useful when researching topics. You don't have to come into the library to get help either - email us our call our reference line (608-267-9696) for quick service from wherever you're located. Consider us your backup belay. With a library on your side, you're never climbing alone. Attorneys in Wisconsin are eligible for a free library card, which lets them check out books from our three libraries and sign in to databases from anywhere with their card number. Every year during National Library Week, we take time to reflect on how we can help our users. This year, the national theme is Libraries = Strong Communities. We felt like this theme was particularly appropriate for our library. We help people every day with a wide range of questions, and from all over the state. 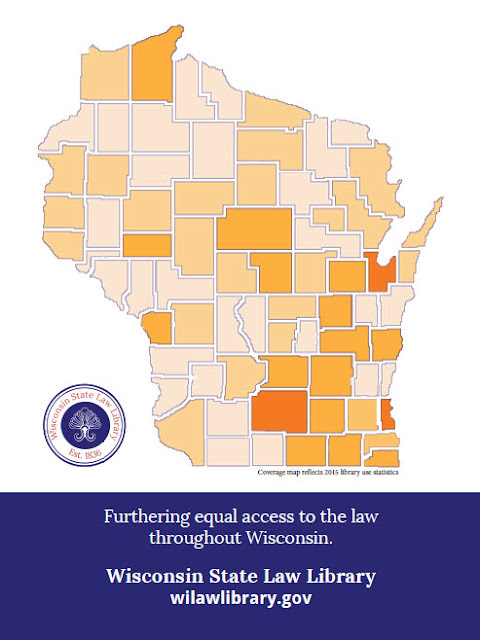 Wisconsin is our community, and we're proud to to help people to access legal information. Do you have a story to tell about using one of our three libraries? Send an email to carol.hassler@wicourts.gov. 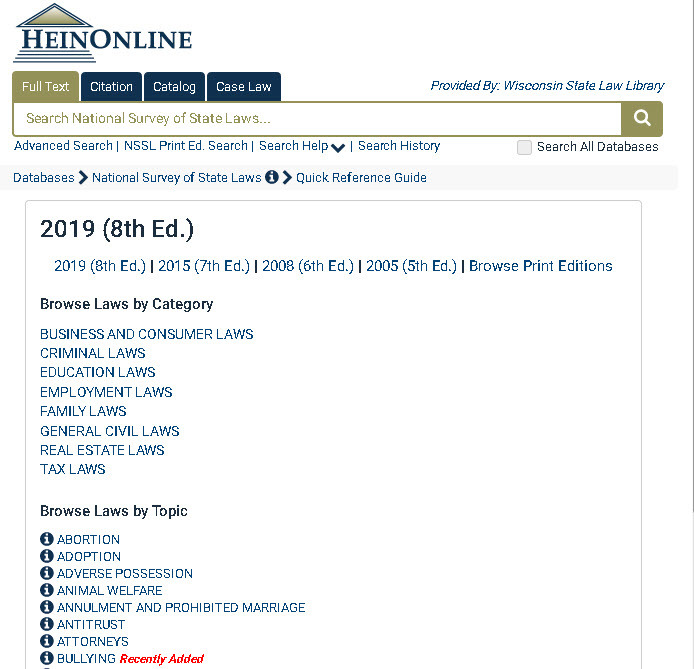 We're excited to announce that the State Bar's Wisconsin Lawyer magazine is now available in full text on HeinOnline. Library cardholders can search this publication all the way back to volume 1, when it was called the Bulletin of the Wisconsin State Bar Association. 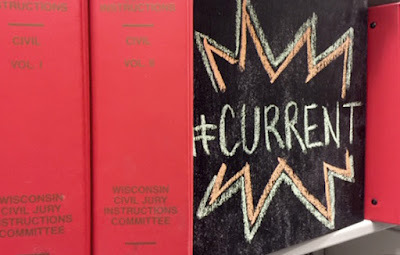 You may find earlier titles cited in cases, the Statutes Annotated, or articles, which include the Bulletin of the Wisconsin Bar Association, and the Wisconsin Bar Bulletin. The Library keeps these issues in print and microfiche, but digital access through HeinOnline means that any of our users can browse these volumes from anywhere in the state. You can log in to databases with a library card, and print, save, or email articles to yourself. You can also use journal alerts to get updates when every new issue is added. Ask a librarian for tips on how to use HeinOnline, or for help setting up article alerts. The April issue of WSLL @ Your Service is now online. Your comments are welcome! Please direct them to the editor, Carol Hassler. Ask a reference librarian for help. Subscribe to library news, event updates & more!